In a perfect world, no one would be killed as a result of another’s recklessness or negligence. However, thousands of people die every year as a direct result of unsafe conditions and wrongful actions. Though nothing can be done to bring these people back, their dependents can seek financial compensation. If you believe that your deceased loved one’s death was caused by negligence, consider having a Tracy personal injury lawyer at Bakerink, McCusker & Belden to help you file a wrongful death claim. 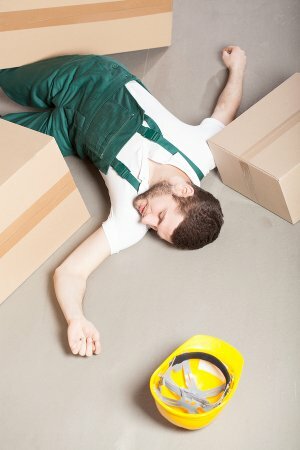 There are a number of negligence-related circumstances that might result in a person’s death. For example, an individual might be killed during an accident with a drunk driver, or an irresponsible medical professional may fail to diagnose a well-known fatal disease while it’s still treatable. Whatever the cause of the person’s death, the victim’s family may choose to hold the guilty party accountable by filing a wrongful death claim. The family might demand compensation for the loss of income, funeral expenses, and emotional distress they incurred in the wake of their loved one’s wrongful death. Probate is the process of sorting through the assets of a deceased individual and passing them on to inheritors and creditors. 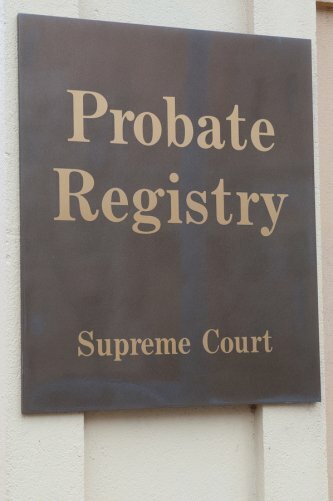 Probate is supervised by a court. It can be a lengthy, complicated process, and many individuals who are chosen as executors feel overwhelmed by the idea of handling these affairs. If you have been named an executor, contact a lawyer with Bakerink, McCusker & Belden right away to discuss probate and your responsibilities. The first step your attorney will take is to arrange for the court to officially designate you as the executor. Once you are officially designated as the executor, you have a number of tasks ahead of you. As your lawyer in Tracy with Bakerink, McCusker & Belden can explain to you, you’ll need to file the original will, death certificate, and petition for probate in the court. You’ll need to publish a notice of probate and mail notices to all known creditors, along with the beneficiaries and heirs. Then, the court will require you to file proof that you did indeed fulfill those responsibilities. Your lawyer with Bakerink, McCusker & Belden will walk you through handling other responsibilities, including dealing with taxes, resolving debts, and distributing remaining assets. It’s all too common to delay creating a will until a serious illness strikes or an individual celebrates a milestone birthday. Many people delay consulting a lawyer regarding estate planning because they expect to lead a long, healthy life. While this is certainly ideal, a catastrophe can strike at any time. It’s advisable for all adults to work with Bakerink, McCusker & Belden a lawyer in Tracy to create a will. By establishing a last will and testament, you can protect your family’s future. Before you sit down with your lawyer to write your will, make a list of all of your assets. This list should include your bank accounts, real estate, retirement funds, life insurance policies, and various investments. It should also include personal assets such as your vehicle, art collections, jewelry, and other items of significant financial or sentimental value. Once you have a complete list of all of your assets, it’s time to decide who your beneficiaries will be . You can designate as few or as many beneficiaries as you wish. You may bequeath your liquid assets to your children, for example, and your real estate to your spouse. You may wish to divvy up family heirlooms among your beneficiaries. Bear in mind, however, that certain assets cannot be distributed with a will. This includes any property that you hold jointly. By law, this property will pass to the surviving owner. For example, if you own a house with your spouse, your spouse will automatically receive full ownership of the house upon your death. It’s widely known that wills are used to bequeath assets; however, many people overlook another important aspect of a will: Designating legal guardians. If you have children under the age of 18, you can use your will to designate a legal guardian upon your death. It’s common to designate a spouse as legal guardian and to designate another family member, such as a sibling, as the secondary guardian in the event that your spouse does not survive.